Over the course of the last five decades, George Mason University has grown from a tiny regional college into a large nationally recognized university. Its earliest buildings, Krug Hall, the Finley, East and West Buildings, Fenwick Library, and the Lecture Hall, have been part of Mason since the creation of the Fairfax Campus. Other Fairfax Campus landmarks, such as Patriot Center, the Center for the Arts, and the George W. Johnson Learning Center, were built during the 1980s and 1990s. George Mason University has continued to expand on a rapid scale. Since the turn of the new century, new buildings such as Research, Founder’s Hall, and the Mason Inn have become integral to George Mason University. The new “class” of buildings at Mason are designed not only with the intent to provide appropriate spaces for Mason’s growing population and programs, but to be energy-efficient, sustainable, and make use of technologies that enhance classroom and research spaces. Several buildings constructed during the first part of the 21st Century on the south end of the Fairfax Campus for scientific study, research, and art are part of this group. Research Hall opened in 2006 on the Fairfax Campus at a cost of $20.5 million. Research was the first building on campus designed primarily to enhance research. The facility is known for its silver silo-shaped observatory adjacent to it. The observatory became home to a powerful 32-inch Ritchey Chrétien telescope in 2011. Just a few yards to the south of Research is the Long and Kimmy Nguyen Engineering Building, which opened in 2009 at a cost of $67 million. It contains office, classroom, and research space. The building was named for Long Nguyen, a Northern Virginia businessman and former member of Mason’s Board of Visitors, and his wife Kimmy. The Engineering Building was the first structure on campus to earn the LEED green certification and incorporates an impressive array of technology into its classroom spaces. Other new buildings near the Engineering Building include Innovation Hall, opened in 2003, and the Art and Design Building, which opened in 2009 and won an Exceptional Design Award from Fairfax County, Virginia. On the north side of the Fairfax Campus, new buildings have also been added to supplement the growing student population and academic offerings at Mason. The Aquia Building, opened in 2010 at a cost of $24.8 million, is situated between Student Union Building I and the West Building. The Aquia Building, which replaced a long-standing temporary “module,” houses The Department of Criminology, Law and Society, The Department of Modern and Classical Languages, and the Data Center. The Data Center, formerly located in Thompson Hall, is the center of Mason’s computer network, which includes the Mason e-mail and telephone systems. In the spring of 2011, the Fairfax Campus officially opened its northernmost facility, University Hall. The building, which cost $34 million, houses the majority of Mason’s administrative staff. There are classroom spaces on the bottom floor as well as several retail spaces. A few hundred yards to the west of University Hall are the Whitetop and Rogers residence halls. These apartment-style dorms, formerly known as Housing VIII, opened in Spring 2012 at a cost of $53 million. Perhaps the most unique addition at the Fairfax Campus has been that of the Mason Inn. Opened during the summer of 2010 at a cost of $52.6 million, the Mason Inn is a full-service conference center and hotel adjacent to the RAC. The University had been looking to build a conference center since the 1980s but never began serious planning until 2000. The Inn features 148 guest rooms, conference accommodations, and an upscale restaurant and bar. The Mason Inn is LEED certified at the Gold Level. The hotel was designed with the history of both George Mason University and George Mason the man in mind. The hotel’s restaurant, Boxwoods, is named for the landscaping at Gunston Hall (George Mason’s original home). The conference center bar, the Well, is a reference to Mason’s ink well. Other references to George Mason at the hotel include carpeting with designs based upon Mason’s handwriting and framed facsimiles of Mason’s love letters to his wife in the guest rooms. The hotel was designed to allow for easy addition of extra guest rooms if necessary, ensuring that the Mason Inn would be able to continue growing if need be. The Arlington and Prince William Campuses have also added facilities since 2000. The most prominent addition to the Arlington Campus has been Founder’s Hall, which opened in late 2010 at a cost of $87.9 million. The new building has become the center of the Arlington Campus, and features a library, bookstore, food service, a large auditorium, and classroom spaces. Several offices in Founder’s Hall moved there from the original building on the Arlington Campus, which was formerly Kann’s Department Store from 1951 to 1975. Bull Run Hall, the largest building on the Prince William Campus, opened in 2004 at a cost of $23.4 million. The building contains classrooms, offices, science labs, and lecture halls. George Mason University continues to construct new buildings to further the University’s mission. One of the most noticeable projects on the Fairfax Campus is the construction on Science and Technology II. This addition is estimated to cost $47.7 million and is expected to be completed by Summer 2013. Other projects, including an addition to Fenwick Library, and renovations to other existing structures on campus are currently underway. The continued expansion of Mason’s physical presence ensures that the University will continue to expand and grow throughout the 21st Century and beyond. 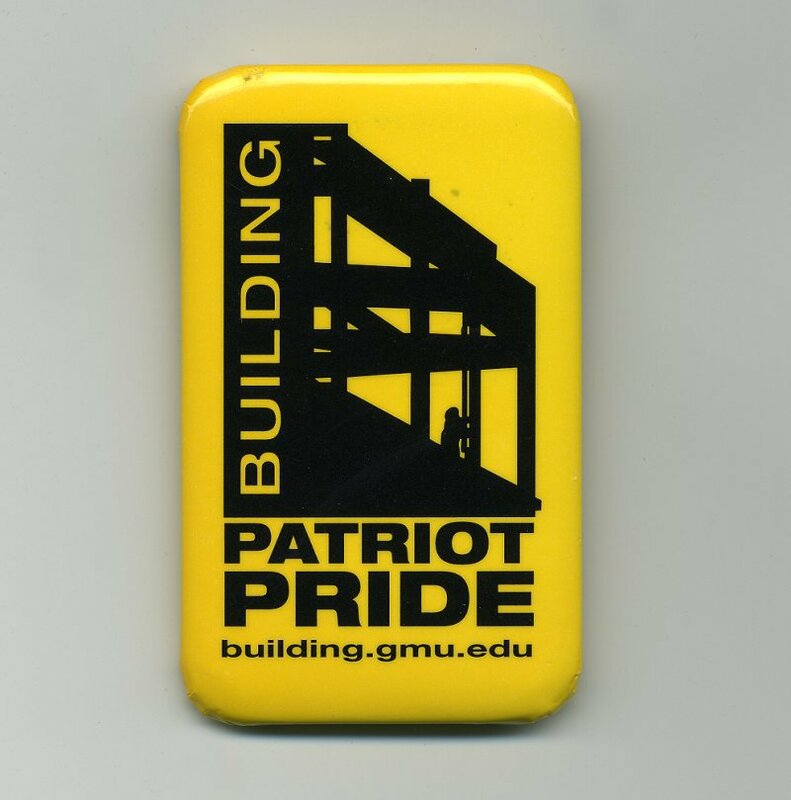 Browse items pertaining to buildings at George Mason University.